Owrox the soulcatcher, the demon owl, is said to fly over the homes of the recently departed, seizing their spirits in his claws before they can reach the afterlife. Any minor ill omen, such as a fire dying suddenly or a hooting owl is taken as a sign that Owrox has snatched the dead and taken them to his corner of the underworld. If the family hopes to free the spirit, they must contact the cult of Owrox and petition for release. In some cases, a large donation of gold, an annual tribute of food or some other bounty can be paid. An unholy pact is made and the soul is released, and woe to any family who breaks the deal later. But if Owrox’s oracle sees potential in a family member, the price may be a lifetime of service as a priest of Owrox. Most of his cult are reluctant members, originally bound to him not by piousness but by this pact. Some are second or third generation members who do not remember the ancestor whose soul was the price of their servitude. Many of his cult are loyal and have rationalized their way into believing Owrox has a great plan for good, but few are fanatically loyal to the point of giving their life willingly for him. Most of his cult fear him and pray for him to release their souls to the afterlife when they die. Owrox is regarded as a or the devil in most places, and he has influenced local traditions. 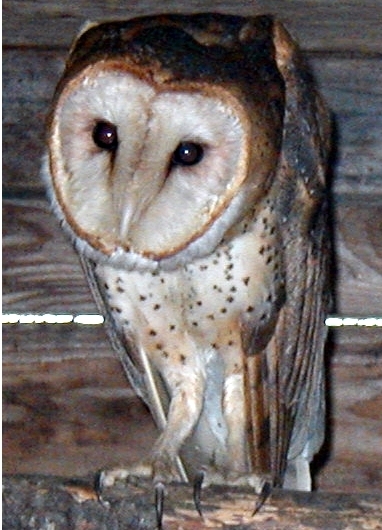 Owls are hunted, particularly barn owls, and doors and windows in mourning households are kept shut for three days (no one in or out). His name is used as a curse, always followed by spitting to the ground (lest he come for you). Owrox’s clerics are given instructions from the cult. Often, they are told simply to go out and amass treasure. Whether they are lawful or chaotic, evil, good or neutral, they are expected to carry out their orders. Otherwise, Owrox does not seem to care; he is secretive and reveals little nothing to his followers save through his oracles, prophets and signs. He has no holy books or rituals. There are two common reactions to priests of Owrox. Many will avoid or even shun him. Some will discreetly perform small favors or donations in the hopes that Owrox will pass around their house and not over it.